The Hunter Douglas Collection of custom vertical blinds combine beauty, easy maintenance and excellent light control with a rich variety of textures, colors and patterns. Vertical blinds are perfect for large or small window, French doors, Patio doors and bay windows....practically anywhere in your home. 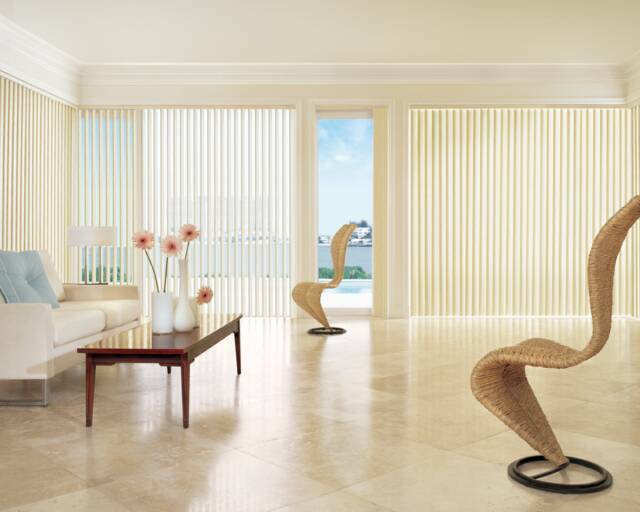 Hunter Douglas vertical blinds give you the light control you need to create the settings and moods you desire. Bay window. Arches. One-of-a-kind Designs. Even skylights. 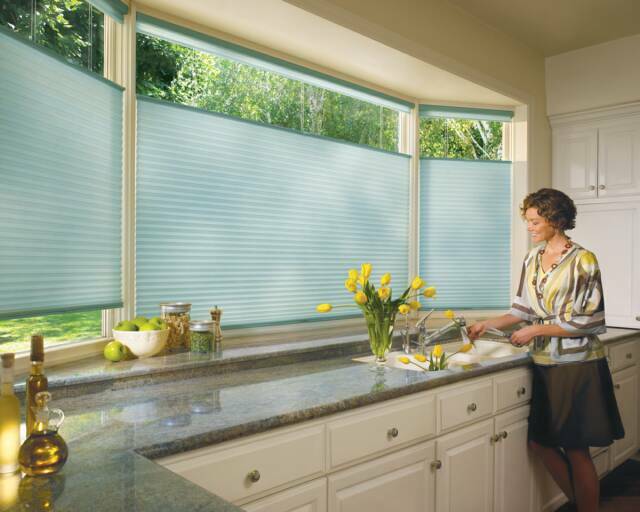 Hunter Douglas has vertical blind solutions to accommodate any window configuration. No matter how unusual the size or the shape. 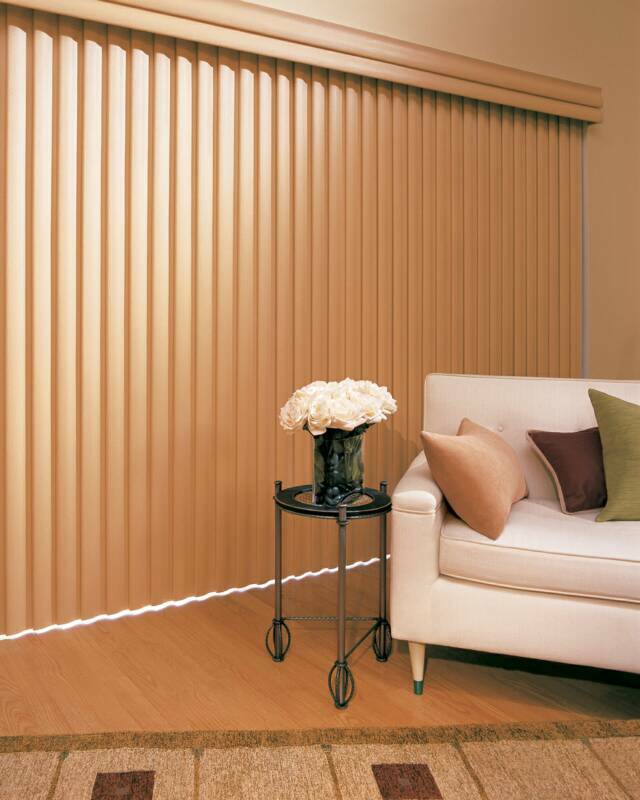 We also offer options like remote control motorized systems that allow you to rotate vertical blinds at the touch of a button. The perfect way to top Hunter Douglas vertical blinds is with the Paramount® Contoured headrail system, the latest innovation from Hunter Douglas. The curved contoured channel design of Paramount creates a beautifully finished look that ordinary headrails simply can’t deliver. With Paramount, the headrail becomes an integral part of the overall design. The result is long-awaited innovation. The world’s first complete vertical blind system. Beautiful. Sophisticated. Flawless. Top to Bottom. 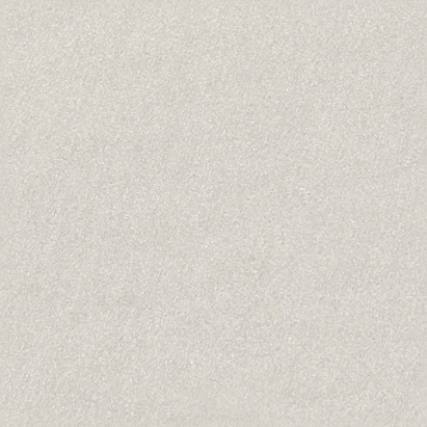 And only from Hunter Douglas. Hunter Douglas vertical blinds combine beauty, easy maintenance and excellent light control with a rich variety of textures, colors and patterns. 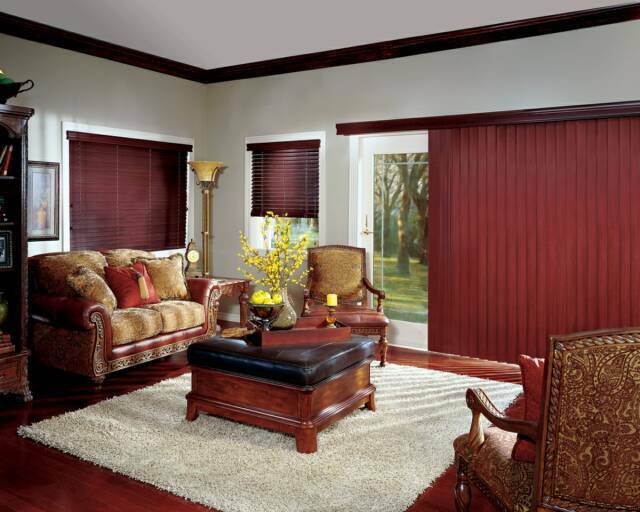 They’re perfect for French doors, patio doors, bay windows, room dividers, large walls……anywhere in your home. Did you find what you were looking for? ...Call Us Today!